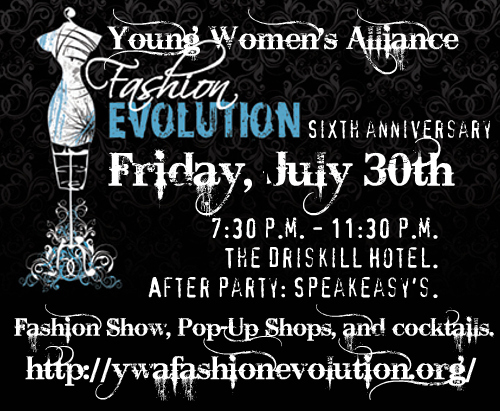 Featuring fashions by Austin based designers Linda Asaf, Rachelle Briton, and Margarito Alonzo, this is the YWA's huge foundation fundraiser, and this is their sixth anniversary fashion show. Tickets start at $40, but you can try to win a pair on do512.com. 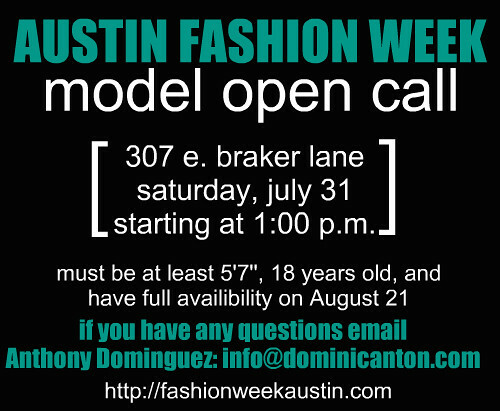 Want the chance to stomp the runway in Austin Fashion Week alongside the models up for Austin Fashion Week awards? If you're tall enough and old enough, attend Saturday's open call. No portfolio necessary. 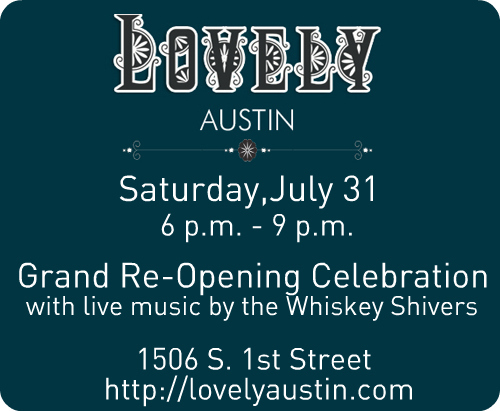 Lovely Austin has moved to a newer, bigger location! Come check out designer, consigned fashion and home decor as well as clothes and accessories by local designers. Live music and free Lonestar beer! RSVP on Facebook. Are you pregnant or did you just have a lot of brisket?